Cute as a button and not quite 3 years old. One level, brick traditional on large lot. Features include dimensional roof, covered back patio, city water and sewage, master bedroom/bath combo with double sinks, garden tub, separate shower, his and her closets. Kitchen comes with all appliances including refrigerator, slick-top range, microwave, and dishwasher. Ready for occupancy! Grab this one quick or you'll miss it! 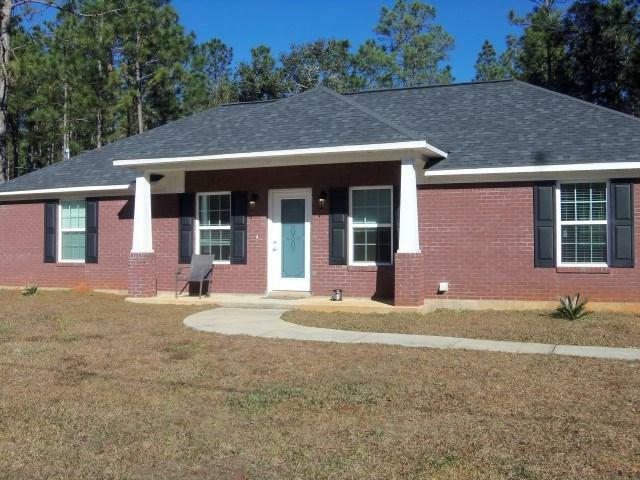 Listing provided courtesy of Delta Realty Bay Minette. Listing information © 2019 Baldwin County Association of REALTORS® MLS.